Before and After: Hello Mom!!! 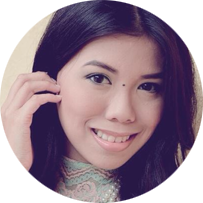 For the face: First, I primed her face with Catrice Smoothening Refiner. She was insisting on using her Maybelline Pore Eraser which she really loved. She bought her primer when she went to Canda and she has been raving about it nonstop. Hahaha I used Maybelline Dream Mousse Liquid Foundation in Classic Ivory mixed with Mehron HD Foundation in Fair. To cover up her brown spots, I used the pink concealer cream on the Graftobian Concealer Wheel Palette. 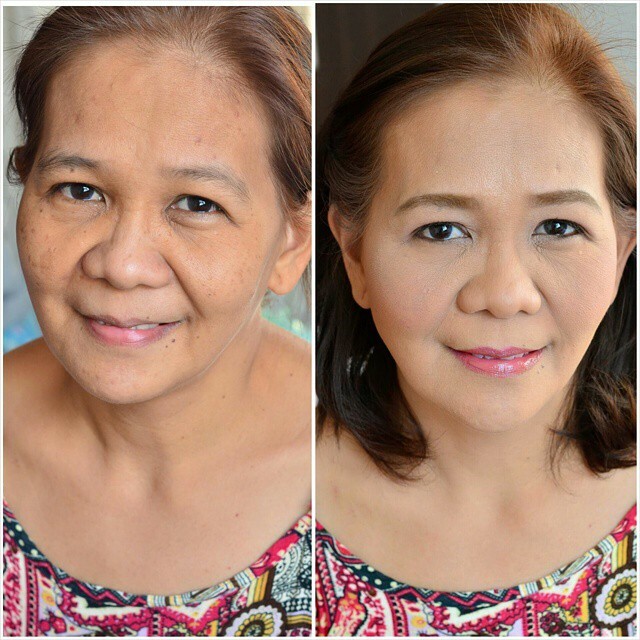 To set her makeup, I used my Palagantong Theatrical Loose Powder in Original Beige. I used Wet n Wild Blush in Mellow Wine and NYC Sunnt Bronzer for bronzing and contouring. For the eyes: I used the NYX HD Eyeshadow Base then my Urban Decay Naked 3 but since my mom's eye is hooded, no amount of eye shadow can ever be visible on her lid. hehe Then, I used Heroine Curl mascara and Holika Holika Brown Eyeliner. For the brows: I used the Jazzy Collection Eyebrow Kit in No, 2 and top it off with K-Palette Brow Mascara in Natural Brown. For the Lips: I use Revlon Color Balm Stain in Honey. Notice how your brows can make you look younger or older? The KPalette brow mascara is really nice. It is one of the products I have been loving lately. I will definitely post my review soon.